Yeah, so as I´ve mentioned before, the name of my gang in our renewed endeavours into the wonderful world of Necromunda was Seasonal Scallywags. It didnt take me long to realise that they needed a bit of touch-up, paintwise. Or rather a lot of touch. A re-do if you like. So i sent them aceton swimming. To the left they are drying up after a refreshing bath. 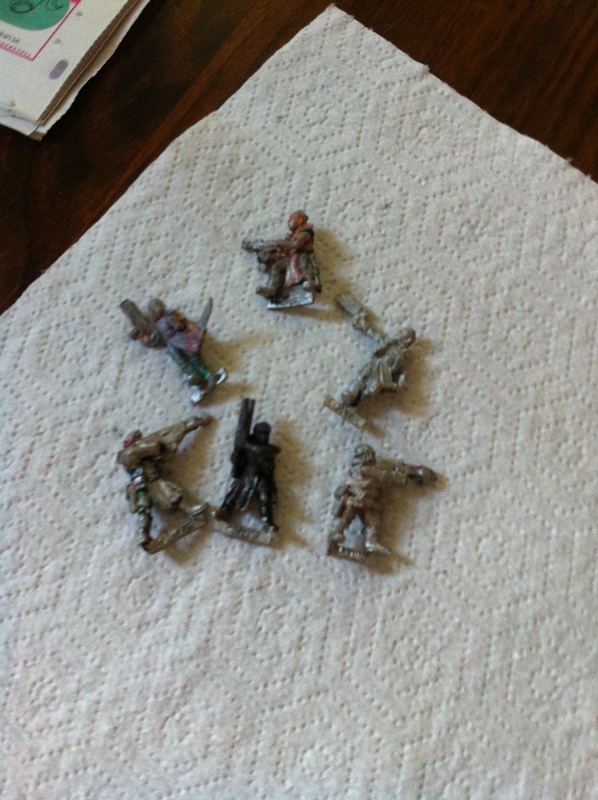 Note that this treatment is not at all recommended for plastic minis, they evaporate in aceton. I´m not sure what to use if you´re trying to paintstrip them, just don´t use aceton , ok? 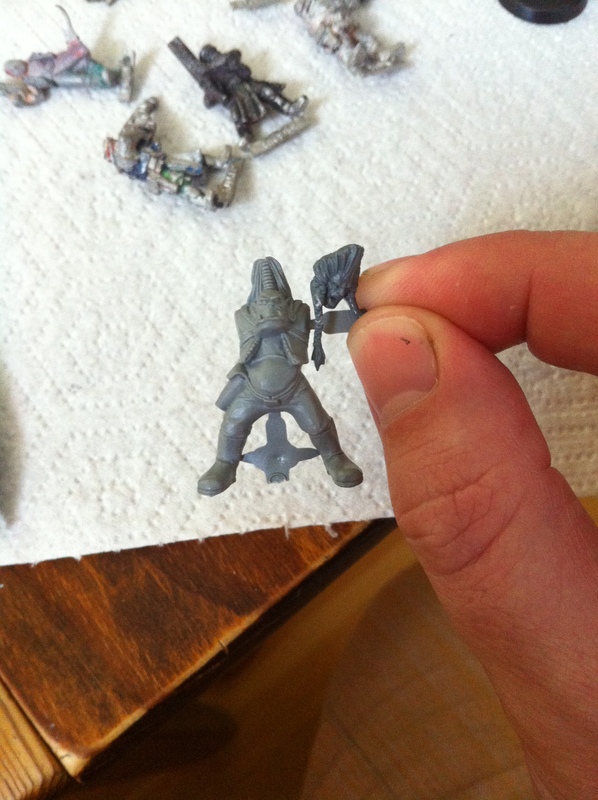 In the middle is the backbone of what is to be th new model for my leader, an ork skorcha gunner body with a headswap from a space wolf sergeant. Plan is to try out magnetise arms for more choices when it comes to weapons. 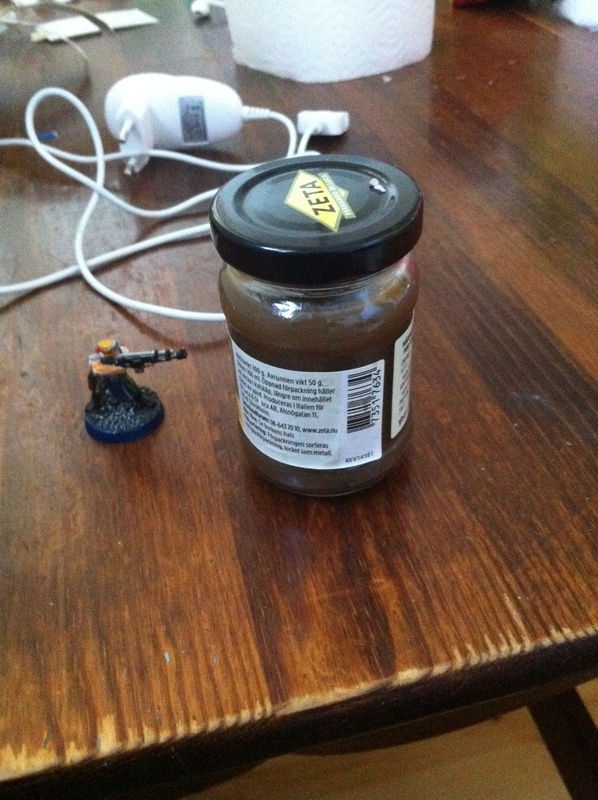 Right now he´s wielding a chainsword and a bolt pistol but I´m thinking of getting a flamer for him. We´ll see what happens. I´ve also realised that in order for my scallywags to be an unruly bunch I probably need to make the team more diverse. One idea is to have the Orlock ganger models waiting to step up whenever the juves have gained sufficient experience. That way I can use other minitures for the gangers I already have. I´ve already laid my eyes on some prospects in the “street violence” range of the amazing wargames foundry. Having a bunch of reading up to do, next post might be of some painting. Or artwork. Or reading material. Or something else.